This most valuable presentation of data highlights the dangers of certain drugs, including pesticide and psychiatric drugs, for example, for persons who have deficient metabolic clearance. Among those would be persons with FMO3 compromised systems. Please note, that Dr. Shephard is excited with the new field of genetics called "Pharmacogenetics" which deals with how our genes influence the way we handle a drug. 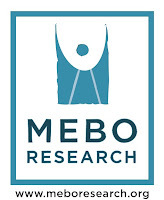 Pharmacogenetics is "Personalized Medicine..." and the focus treatment is "if we understand a person's genetics, can we tailor their drug treatment to get them the best response to their particular drugs." 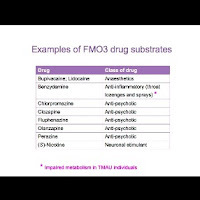 Dr. Shephard gives us a "very short list" as examples of some FMO3 drug substrates more commonly used, including anaesthetics, a variety of anti-inflammatory (throat lozenges and sprays), anti-psychotic, and neuronal stimulant, such as nicotine. She refers to a study that has proven the inability or compromised ability of people with TMAU to be metabolize Benzydamine. 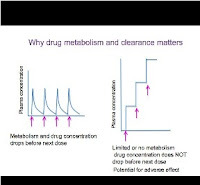 In addition, she explains how "Many drugs are metabolized by more than one enzyme" including CYPs (P450s). I highly recommend that all persons, without exception, that suffer from any type of body odor or halitosis condition, study her presentation. All sufferers need to observe and be aware of any adverse reaction to any medication consumed, and to immediately inform their physician. This presentation will be put up in this blog as soon as possible.